Hillsboro’s Ty Alexander races past a Washington High School athlete in the final 100-meters of the boys 4x800-meter relay Tuesday at Hillsboro High School where the Indians hosted the Blue Lions in a dual meet. The Hillsboro boys 4x800-meter relay team finished first in the event. 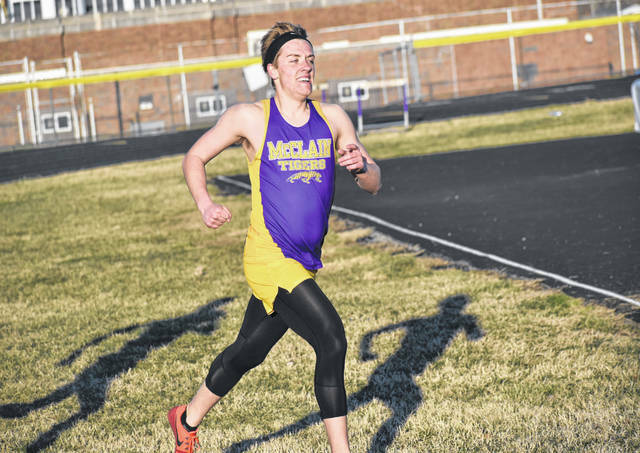 McClain’s Reece Schleup rounds the last corner in the boys 800-meter run at McClain High School on Tuesday where the Tigers hosted the Circleville Tigers in a dual meet. Schleup finished second in the 800-meter run. For full results from both of these events please check Thursday’s edition of The Times-Gazette. Also visit www.timesgazette.com for full results and the results of many other local high school sporting events. 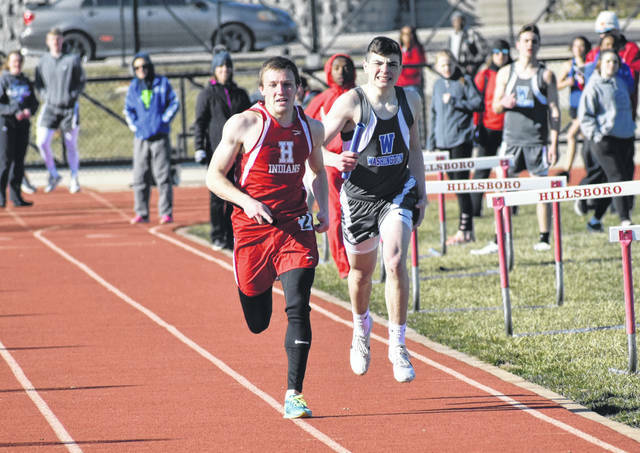 Hillsboro’s Ty Alexander races past a Washington High School athlete in the final 100-meters of the boys 4×800-meter relay Tuesday at Hillsboro High School where the Indians hosted the Blue Lions in a dual meet. The Hillsboro boys 4×800-meter relay team finished first in the event.